India take on New Zealand in the 2nd ODI on January 26 at Mount Maunganui. India blew away hosts New Zealand in the opening ODI of the five-match series at McLean Park in Napier. 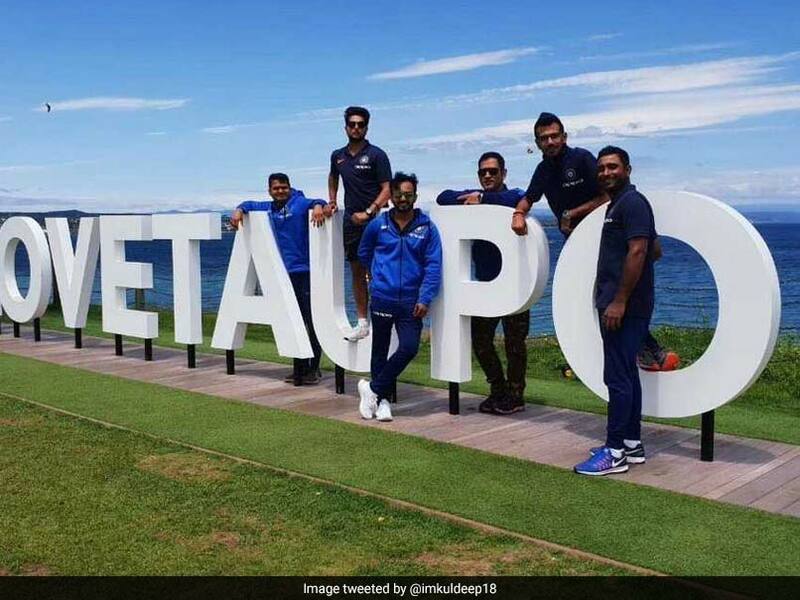 The second ODI is scheduled to be played on Saturday at the Bay Oval in Mount Maunganui and members in the Indian team seem to be enjoying their travel day. On Thursday, Kuldeep Yadav along with MS Dhoni, Yuzvendra Chahal, Ambati Rayudu and Kedar Jadhav posed for pictures en route to Tauranga. Mount Maunganui where the second match will be played, locally is a major residential, commercial and industrial suburb of Tauranga. The players seemed to be high spirits as they posed for pictures. Kuldeep took to Twitter to post the images. India produced a brilliant all-round performance to crush New Zealand by eight wickets in the opening match. India chased down a revised target of 156 for the loss of just two wickets and in 34.5 overs to take a 1-0 series lead. Wrist spinner Kuldeep Yadav starred with the ball as New Zealand were bowled out for a paltry 157 in 38 overs. Kuldeep was the most successful bowler, returning figures of 4/39 in 10 overs, while seamer Mohammed Shami finished with an excellent 3/19 in six overs. There were also two wickets for leg-spinner Yuzvendra Chahal. In response, Shikhar Dhawan began the innings with a flurry of boundaries, eventually finishing as the top-scorer with 75 off 103 balls. Skipper Virat Kohli, who will not be taking part in the final two ODIs and the T20I series, scored 45 off 59 balls as India reached the target without breaking a sweat. In the course of his 26th ODI fifty, Dhawan became the joint fourth fastest batsman to reach 5,000 runs. Dhawan needed 118 innings to reach the mark.